Perfect your bathroom. We can transform your bathroom into the place of comfort and luxury that you've always dreamed of. Your bathroom is one of the most important parts of your home, which make it important that your tub or shower is of excellent quality. Of course, a bathroom remodel can be a very intimidating process and many homeowners have heard before that a bathroom remodeling project can involve several days or even weeks where the bathroom is unusable. Luckily, PIC Home Pros can not only provide incredible service, but we can also make sure the whole project is completed in a single day! At PIC Home Pros we have over 25 years of experience wowing families with incredible services like our bathroom remodeling. Contact us today and schedule your free estimate in Manchester, Nashua, Concord, & nearby New Hampshire! What sets PIC Home Pros apart? Quality Products - While other companies might use low-grade products which they resell for a high-profit margin, we always set honest prices and use top-of-the-line showers and tubs. 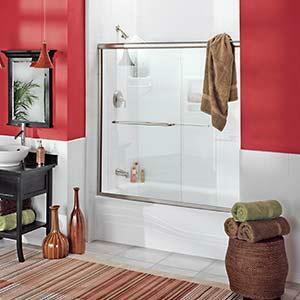 One-day Bathroom Remodeling - Bathroom remodeling is sometimes infamous for taking days if not weeks. That's days or weeks where your bathroom is near unusable. You will never have to worry about that with PIC Home Pros. We take great pride in making our bathroom remodeling a one-day affair. Long-lasting, Crack-resistant Products - Our quality tubs and showers use crack-resistant Luxsan acrylic and mold-fighting Microban® surface protection to help guarantee longevity. We are so confident in our products that we even offer a limited lifetime warranty! Start your one-day bathroom remodel with a free estimate! Are you interested in a bathroom remodel that is quick but doesn't compromise quality? We have you covered. Our expert team has a wide range of experience and expertise that you need to make sure your remodeled bathroom will last. Whether you want a replacement tub, replacement shower, a tub to shower conversion, a walk in tub, or another related service, we can help. Contact us today and schedule your free estimate in Manchester, Nashua, Concord, Rochester, Derry, Lowell, Boston, Quincy, Framingham, Cambridge, and nearby New Hampshire!